We’ve all heard that the estate administration process can be a tedious disaster, but one particularly important area to consider is probate. Specifically, we advice our clients to avoid the probate process whenever possible. 1. Time. Generally speaking, an estate must remain open for seven (7) months before it can be distributed. This statutory timeframe is set forth so that all creditors of the decedent may have an appropriate amount of time to file any claims against your loved one’s estate. Most people will agree that when we pass away, we’d like our inheritance to be distributed to our family members as soon as possible so that they can enjoy the legacy that we have left them. The probate process makes this virtually impossible due to the aforementioned seven month limitation. In the alternative, non-probate assets, or assets that have a joint owner or named beneficiary can be distributed to your loved one’s immediately upon your passing without adhering to this seven month limitation. 2. Complexity. The probate process can also be extremely complicated. An attorney will most likely need to be retained in order to assist you in administering your loved one’s estate. There is a variety of documentation required, including but not limited to: Petitions for Probate; Waivers of Process; Consents to Probate; Inventories of Assets; Releases and Receipts; and Informal Closing Statements / Affidavits By Fiduciaries. These documents require a bevy of information related to your loved one’s family members, finances and date of death values on all assets. Furthermore, an estate cannot be closed unless all estate beneficiaries have signed Releases. The complexity of this process alone is one of the top reasons that we urge all of our clients to place named beneficiaries and/or joint owners on their assets so that this process can be avoided. 3. Cost. Of course, cost is the number one reason on our list. A probate proceeding can be extremely costly as the administration process will usually require the payment of attorney’s fees, Surrogate’s Court filing fees and other disbursement costs associated with mailing and completing all relevant documentation. 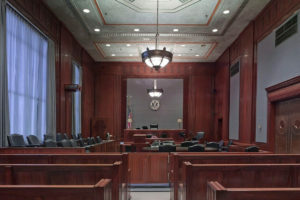 If certain estate beneficiaries do not wish to sign Releases at the end of the process, a proceeding entitled a Judicial Settlement Proceeding may be needed which requires the costly creation of a detailed estate accounting as well as additional filing fees with your local Surrogate’s Court. In the alternative, most non-probate assets can be obtained by providing each financial institution with its relevant claims paperwork and a copy of your loved one’s death certificate. The costs in this case are the costs of a US Postage Stamp. You make the decision – thousands of dollars in fees vs. a $0.47 stamp!